On May 12th of this calendar year, Jews will celebrate Yom Yerushalayim, the day of the liberation of all of Jerusalem from Arab Muslim rule. Yet today on May 2nd of this calendar year, millions of Jews also, many unaware, will celebrate a far older Yom Yerushalayim that took place when the Jewish revolt against Roman rule retook Jerusalem. 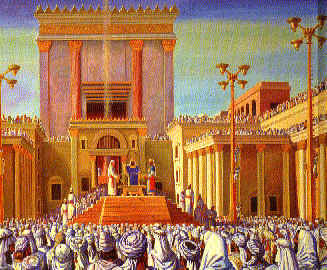 It is a day little remembered today for its actual origins, its celebration in Roman times cloaked in coded language about a plague that struck the students of Rabbi Akiva for their inability to get along (a reference to the civil strife that enabled Roman dominion over Israel) that ended only when Jerusalem fell and a seemingly new era in Jewish history had begun. The bonfires that had once been lit to celebrate the liberation of the city and the bows and arrows that had been fired into the air in celebration remain parts of the commemoration of Lag BaOmer. But what Lag BaOmer really is, is a warning to us about the fragility of history, about how easily celebration can turn to mourning and national aspirations to ashes. The revolt against Roman rule was spectacular for what it achieved, the decimation of entire Roman legions and the temporary rebirth of Israel, as for what came after it, the destruction of Israel and its transformation into a larger region named Palestine. 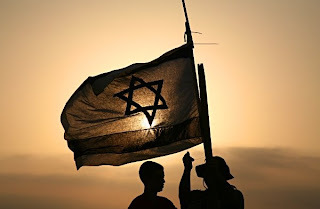 10 days after it, we will celebrate the modern day Yom Yerushalayim, the climax to the victories of the Six Day War, which were even more incredible and miraculous than those of the Roman era. But today the fruits of those victories have been mostly abandoned, with Jerusalem itself now on the line. We do not know exactly where the failure in the Roman revolt lay, but now where it lies today. What Israel won on the battlefield, it lost at the bargaining table. There is unfortunately a good deal of precedent for this even as far back as Roman times. The Macabees, that handful of brave brothers and those who joined them, drove out a Syrian-Greek tyrant and his armies, but though they won impossible battles, they allowed themselves to be manipulated and betrayed into signing phony alliances, into making diplomatic gestures that ultimately cost them their lives. Because for all that their bravery won for us on the field of battle, they allowed themselves to be betrayed and undone by trying to play fair with enemies who had no intention of playing fair with them. One by one the brothers fell. And Rome completed what the Syrian-Greeks had begun. 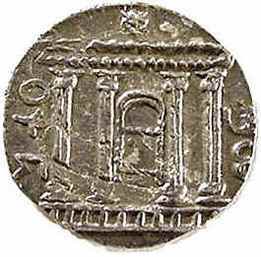 An Idumean (Edomite) agent of Rome undermined and assassinated what remained of the Maccabean dynasty. Exploiting domestic religious and political tensions, he touched off a civil war that allowed a Roman intervention to take hold. And in the place of the Maccabean kings, he elevated his own son. Herod. And thus an independent Israel fell once again. The Macabees had not lacked for military virtues. But their ability to see treachery from without and within was tragically lacking. Their state was replaced by Rome's Herodian proxies at the point of the spears and swords of Roman legions and Arab mercenaries. And by the time Bar Kochba and his men tried to rise and undo this tragic state of affairs, Roman power over the region was too fixed to break even after devastating losses. Had the Romans done what the British did after the battles of Saratoga and Yorktown and decided to cut their losses, fighting over what in the broader was an insignificant piece of land, history might have turned out quite differently. But they did not. And it would be centuries before another Jewish revolt would try and fail again. But this is not simply history. The modern day State of Israel too has not lacked the military virtues. What it lacks is the ability to stand its ground diplomatically and counter the nest of serpents that instigate and execute their treacherous schemes against it, from without and within. Israel's diplomatic failures are legion. So many that they are not even worth counting. In truth its only success came briefly at the UN in the 1940's. Since then there have been numberless diplomatic defeats that most Israelis have ignored because they knew that while much of the world was against them, their lives depended on being able to fight, not on being able to sit around a conference table. But once Israel's enemies realized that no amount of Soviet arms in the hands of Arab armies would break the tiny state. After the USSR itself contemplated and rejected an invasion by its own forces, a plan that actually came close to fruition with ships already on the way and orders being issued-- history repeated itself as diplomatic warfare replaced military force. Instead Moscow rebranded Arab Muslim terrorists as Palestinian freedom fighters, created an entire fictional Palestinian nationality and used its network of left wing groups to isolate and terrorize Israel. And even after the USSR fell, liberals in the US and EU picked up where the KGB had left off. Meanwhile the Saudis money had made its own deep inroads leading to the paleoconservative adoption of the KGB's own manufactured propaganda. And so history repeats itself. Israel has given up several times its own total land area to maintain the existing cold peace with Egypt and Jordan. It has allowed Islamic terrorists to create two mini-states on its own soil. Within its borders, Islamic preachers and terrorist leaders scream for its annihilation, take hostages and call on the sympathy of the world for their plight. Their plight, not Israel's plight. The international left wing network of groups funds seditious organizations inside of Israel, which work to undermine and betray Israel's defenses. To expose and distribute classified information in their newspapers. To encourage, train and pay left wing activists and reporters inside Israel to pursue their agenda. That is to say nothing of the boycotts. The diplomatic corps which openly works for Israel's downfall. The British and American consulates in Jerusalem that act as if they are the representatives of Rome, not of fellow free and allied nations. Millions of dollars flows to "peace organizations" within Israel through grants and fellowships. Movies are funded that portray Israel in the worst light and accuse its soldiers of war crimes. And all of it exits for one purpose alone. To aid the Islamic terrorists overrunning Israel. Now Israel is being told to give up Jerusalem itself by a man steeped from his early days in the hatred of Jews. Whose Church was a redressed Black Muslim temple preaching rabid hate for Israel. A man who has assumed the mantle of world power and is determined to dictate to Israel's Jews where they may live and what they must give up, so that his Muslims friends in Ramallah may stop bombing their schools and homes for a day or two. If even that long. And so we come back to it all again. The sieges and the armies. The forked tongues and the knife in the back. As we celebrate the lost Yom Yerushalayim, the remembrance of the day when Jerusalem was won and lost some 1800 years ago, let us remember how precarious history can really be. And how easily the Yom Yerushalayim that we will celebrate 10 days from now can be reduced to no more than another obscure footnote in our history. Another in a series of failed quests to rebuild and maintain the State of Israel. It has never been the battlefield that we should fear, for history has shown that we do not lack the courage to stand and fight. It is the knife in the back. The treacherous word. The enemy masquerading as a friend. Those are the real threats binding the arms of its soldiers, subverting its politicians and cultivating traitors from within to agitate for its destruction. History has a way of repeating itself. Awareness can help break the cycle. And change history. Before it is once again too late. Why do we Jews always believe the lies of the enemy? Why do we believe 'relocation' instead of 'extermination'? Are we too lazy? No, we are just too stubborn and too arrogant to work TOGETHER for the common good. Our petty differences are more important to us than the ERETZ ISRAEL which unites us, and Jerusalem which is the centrapiece of our shared culture. BTW: Blogger is acting weird so I don't know if my posts are getting through. The only thing Nazis and their modern day counter parts are truthful about is their desire to murder Jews. They lie about everything but are 100-percent honest when they say they want to destroy Jews and Israel. I pray to G-d all of Israel wakes up before it's too late. But...many seem so secure they can't realize the danger they're in, or that they have the power to save themselves. Even the politically ignorant like me can see that. BTW: Toda for the history re Yerushalayim, Daniel:) You're knowledge of history, particularly Israeli is amazing and yet easy for me to understand. If only more writers would present the situation like this. Did the first two on this thread come through? I kept getting prompts about navigating to another page when I clicked publish your comment. About Lag B'Omer being the anniversary of the liberation of Jerusalem-- it makes a lot of sense. Do you have any particular sources backing this up? 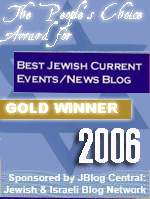 As usually your blog is full of knowledge and a warning it's clear that Obama doesn't want anything good for Israel. I wouldn't trust him if he said the Sun will rise tomorrow. Al-taqiyya and dissimulation are words used for a practice of Muslims blatantly lying to non-Muslims. All but some of the most fundamental Muslims consider the act of Al-taqiyya or lying to non-Muslims to be a good work. 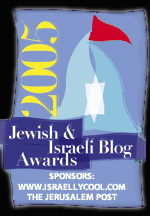 Totally OT but do you think Jews in the Diaspora should celebrate Yom Yerushalayim? I say absolutely yes, but on at least one Israeli news blog, the mentality is no. It's reserved only for Jews in Israel.